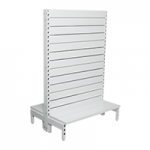 If you’re thinking about fitting a shop out with slatwall panels, you’ll need to decide which slatwall accessories will be the most appropriate. 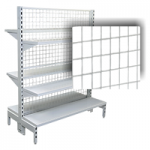 Fortunately there is an extensive range of accessories available to choose from, which makes slatwall an ideal solution for any type of shop. 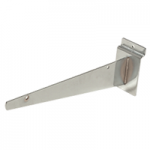 Whether you’re a small hobby store or a three-floor department store, you will be able to find suitable slat wall fittings enabling you to display your products neatly and attractively. 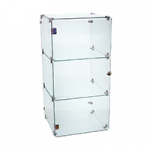 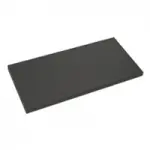 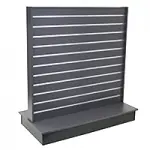 Retail slatwall accessories come in assorted sizes to suit various needs and the great thing about them is that they are so easy to put in place, remove or move around, meaning that you can rearrange displays at will. 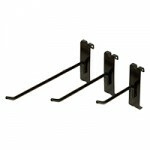 Here is a selection of some of the accessories that can be used with slatwall retail display systems. 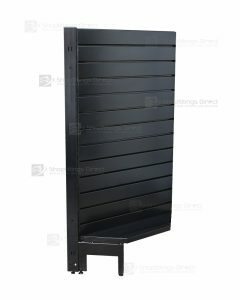 Prongs and hooks enable retailers to create hangsell slat displays that showcase products in a smart yet practical way. 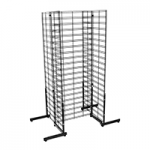 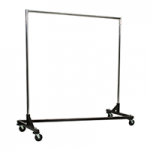 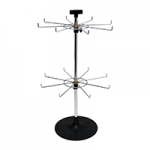 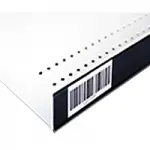 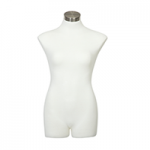 Customers can simply slide the item off the hook without disturbing the display. 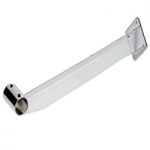 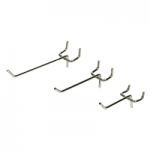 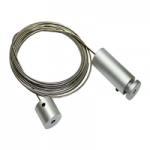 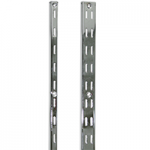 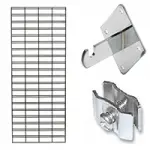 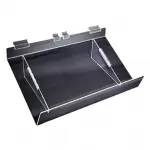 The accessories come in chrome metal and are available in different sizes and styles including heavy duty prongs for larger items and loop hooks which can be used for packaged items such as stationery goods. 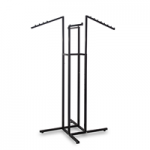 Goods that can be sold on hangsell displays using prongs and hooks include anything that can be hung or draped (e.g. 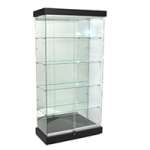 jewellery, belts) and most packaged items (e.g. 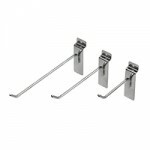 bags of sweets, packaged clothes, hardware products). 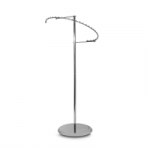 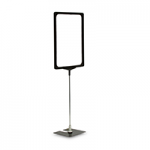 If you want to put a proper finishing touch to your display, you can also utilise flipper scan slatwall hooks which can display information such as prices and product descriptions. 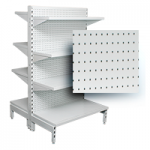 Slatwall displays can also be fitted with traditional shelving so that products can be stacked and displayed in rows either as part of a wall display or free-standing gondola aisle display. 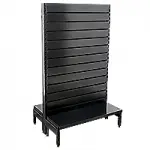 Shelves are available in different sizes, catering for stores such as supermarkets, chemists or book stores who might want to stack multiple items per shelf, as well as the likes of upmarket boutiques that might want to showcase just one or two items per smaller shelf. 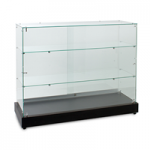 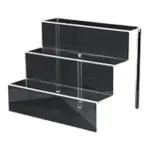 Shelving is available in glass (popular in stores such as gift shops and craft shops) and melamine, where it comes in an array of colours including black, white, charcoal and gold beech. 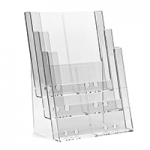 Shops such as newsagents or tourist information offices can make great use of these acrylic brochure holders which come in several designs. 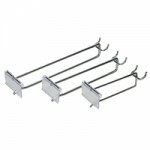 Also useful for stores that have flyers, brochures, leaflets, etc. 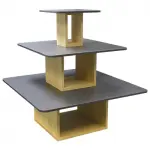 to give away as it enables them to store them in a tidy, organised fashion rather than have them in piles on the counter where they can easily become displaced throughout the day. 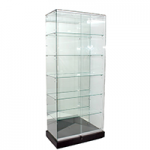 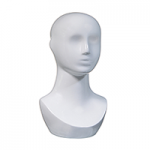 These are useful for displaying loose items which might possibly be a little bit too large to place in acrylic bins, for example, clothing accessories, children’s fluffy toys or balls of knitting wool. 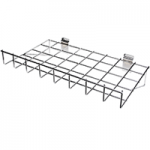 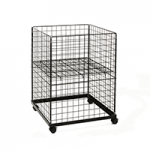 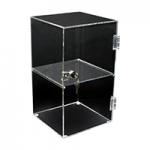 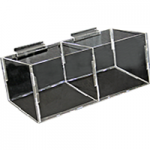 Wire mesh baskets come in different sizes and are available in black or polished chrome. 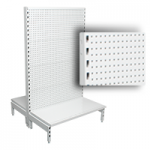 Are you interested in fitting your store with a slatwall display, or would you like to discuss what accessories might improve the layout of your premises? 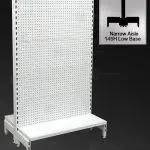 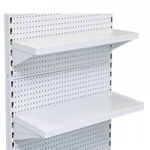 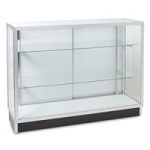 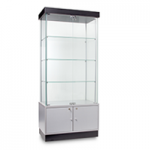 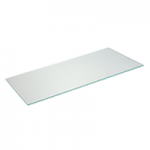 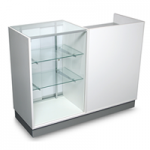 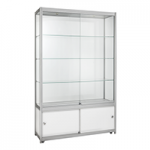 Shopfittings Direct provides slatwall Australia-wide to retailers large and small. 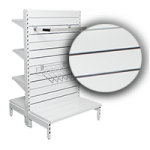 Give us a call on (02) 9608 5122 or email us at sales@shopfittingsdirect.com.au.